Welcome to my Intuition Development and Author site. 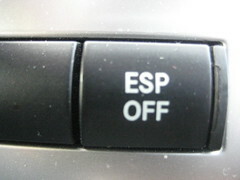 Don’t go through life with your ESP off. Wouldn’t you like to sail through life effortlessly? What would it be like to have access to a navigational device for your own life? One that would never steer you down the wrong road but, always send you in the direction of your highest good? You can lead this life when you learn to follow your own inner navigation system – your intuition. There’s so much to gain by learning to develop your intuition. There is a wisdom and intelligence in the Universe that will guide you that you can tap into it once you sharpen your intuitive skills. Learn to make better decisions using your inner guidance. Choose the right activities to engage in by listening to the voice of your intuition. Don’t waste time on activities that don’t further your goals. Find your passion and your purpose through intuitive training exercises and put yourself on the path to success, abundance and miracles in your life! Here’s an example of some of the great content you’ll get that will help you ramp up your intuition so you can make your dreams come true and take the world by storm! Intuition and Evolution: Will We Soon Acknowledge More Than 5 Senses? Intuition vs. Ego, Whose Voice is That in Your Head? Leave a comment at Powered by Intuition and say hello! Become a part of a vibrant community of like-minded individuals interested in developing their intuition to increase their success in life.